Any business strategy must consider ‘what if things go wrong’. A robust and tested business continuity and resilience plan is an essential tool in any growing business. Often overlooked, business continuity and resilience plans can prevent serious reputational and financial damage. It aims to allow the business to maintain essential functions, structures, systems, profits, and identity in the event of disruption. Why business continuity and resilience? Business continuity and resilience is a fundamental part of the Core offering, especially as you grow your business internationally. A business needs to be confident it has a robust foundation so as to be able to deal with any unforeseen situation. Failure to invest in business continuity and resilience is failure to invest in the future. Many businesses suffer long lasting effects or simply fail as a direct result of lack of investment in continuity and resilience. Business continuity is about building and improving resilience in your business. It’s about identifying your key products and services and the most urgent activities that underpin them and then, it’s about devising plans and strategies that will enable you to continue your business operations and enable you to recover quickly and effectively from any type of disruption, whatever its size or cause. It is crucial that a business understands, analyses and addresses its risks. The identification, assessment, and prioritisation of risks with a coordinated and economical application of resources will, minimise impact, monitor the situation, and control the probability and/or impact of unfortunate events going forward. Lack of risk management can result in catastrophic failure. 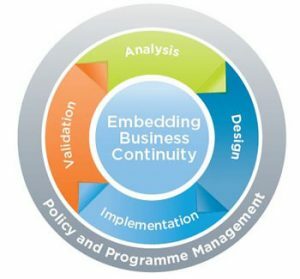 The development of business continuity and resilience plans is not just a board level process. Intelligent organisations need to include the full range of departments, suppliers and clients when considering its continuity processes. Consider the impact of an incident or crisis in your business. Will it affect you? Then consider that it may need not have occurred at all had a full risk management assessment been undertaken. 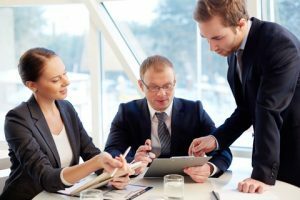 This also involves looking outside of the usual day-to-day business operations to ensure that everything has been taken into consideration. Have you identified the key personnel to act upon an incident and/or crisis? Do you have a ‘substitutes bench’? What training have they received? Are they available when an incident occurs? Are you confident in your organisation’s response during an incident or crisis? Will the plan and procedures work in a real crisis?